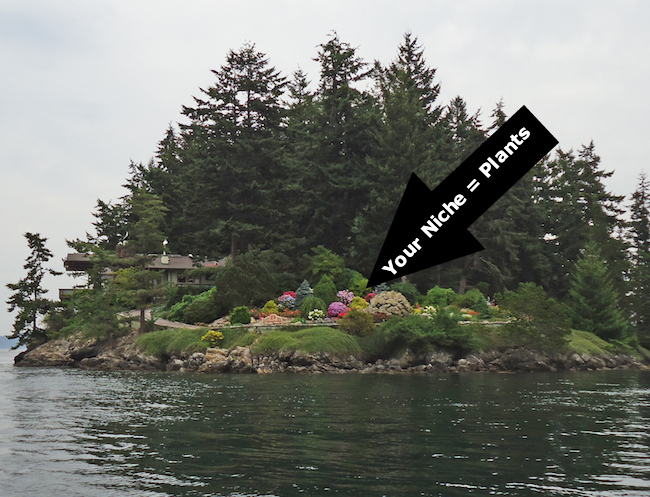 A Niche Market is basically a highly, targeted portion of a much larger market. For example: Let’s say you love to garden and you’re really good at it. Your plants always seem to do so well and your friends, family and neighbors are always asking you to help them grow their plants. They are seeking your knowledge with any tips you can give them. Your niche market would be “Plants” which is a subset of Gardening. For me, it’s about finding that one thing you are passionate about whether it is a service or a product and by sharing your knowledge and experience through your website you are able to market to others that share the same interest. I read this blog post within the Marketing Community I am a part of [you can check it out here] and Wendy got my juices flowing. She shared with us how she takes a little book with her everywhere she goes. While at the mall one day she did some “market research” of her own and when she got home she started researching everything she saw. Well, I thought that was a wonderful idea so off to the mall I went dragging my daughter and her boyfriend along. I gave them instructions on how to do market research and boy they caught on real quick. We jotted down some other “possible niches” shopped a little bit and came home so the researching could begin. This all sounds great Audrey but I have NO IDEA where to begin to find a niche or even how to think of niches. No Worries, I’m going to help you. We’ve all seen them, the little yellow books that say “So and so for Dummies”. Well guess what? They have already done the “market research” for you. They are not going to print books that they know are not going to sell and that people are not looking for. NOTE: Make sure you go to the Store on their site (can be found at the bottom of page) this way you are looking at only the books that have gone to print. Yep, believe it or not that brain of yours holds a plethora of niches that are just waiting to be unlocked. When you are out and about start taking notice of what people are wearing, what are they doing, what are stores selling out of. If you must take a little book with you like I did and jot things down so when you get home you can start researching. Now that we’ve got the juices flowing and you’ve got some ideas for a niche market it’s time for the fun part…RESEARCH! If you still have any questions or are not sure if something is a niche drop me a comment below and I’ll be more than happy to help you out.